B1A4 won over many new fans last year with their hit song “Tried to Walk” and their impressive performance on Immortal Song 2. 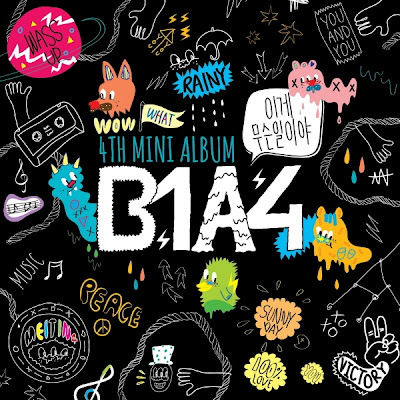 Their fourth mini-album continues B1A4′s distinctive and youthful style with five new tracks. The members again participated in the songwriting for the album. Leader Jin Young composed “What’s Going On” and Good Love, which is co-written with Baro and CNU. The album also features the emotional R&B pop song Yesterday and the closing track “A Few Times,” which stands out with its melancholic piano melody and house rhythm.